Product prices and availability are accurate as of 2019-04-22 00:29:37 UTC and are subject to change. Any price and availability information displayed on http://www.amazon.com/ at the time of purchase will apply to the purchase of this product. The DC-Blocker must be used if you want to measure active powered antennas like GPS or satellite dishes. 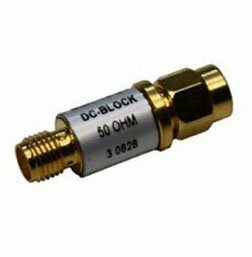 It prevents damage to the input of RF analyzers by blocking up to 18 VDC. 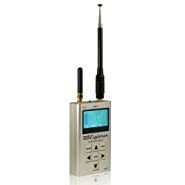 Simply connect the DC-Blocker to the RF-input of your SPECTRAN and you can measure directly on GPS, satellite antennas or even DSL/ISDN etc. lines.